Donna J. Jackson is a CPA and an attorney. She specializes in estate planing, including trusts, special needs trusts, wills, durable power of attorneys, living wills; taxes; probates; and business organizations, including corporations, limited partnerships and limited liability companies. 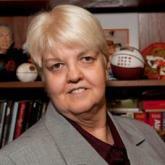 Ms. Jackson is a dual CPA/ Attorney, helping seniors in Oklahoma for 29 years.